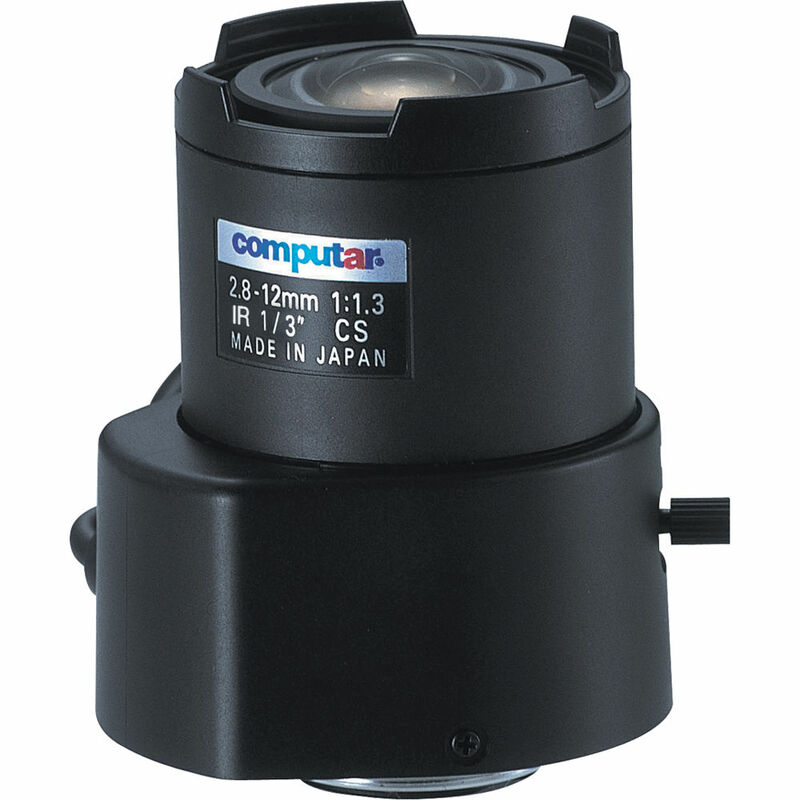 The CS-Mount 2.8-12mm Varifocal Lens from computar is designed for CS-mount day/night cameras with 1/3” format sensors. The lens facilitates easy focal length adjustments, enabling you to change the focal length without having to move your camera from its installation point. With an aperture of f/1.3 to f/360C, the lens is suitable for surveillance in low-light as well as bright light conditions. Furthermore, this IR-corrected lens captures clear images, eliminating focus shift and infrared bleed. Box Dimensions (LxWxH) 3.2 x 2.5 x 2.0"